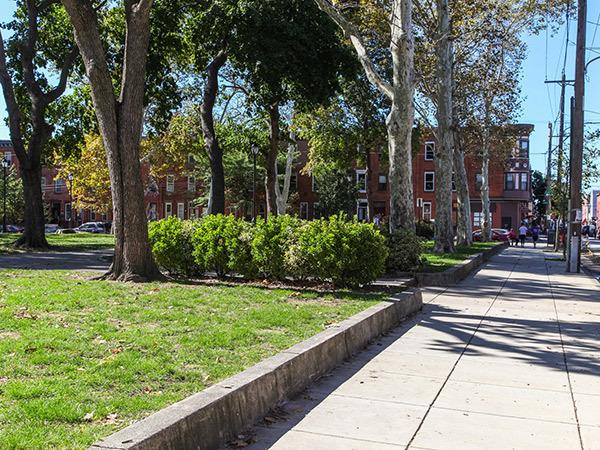 With the passage of the Consolidation Act of 1854, the City of Philadelphia expanded from the two-square-mile plan conceptualized by William Penn and Thomas Holme (developed in 1682) to encompass some 130 square miles. 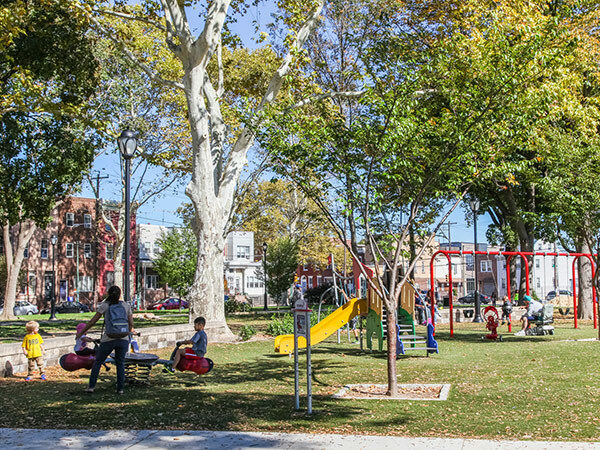 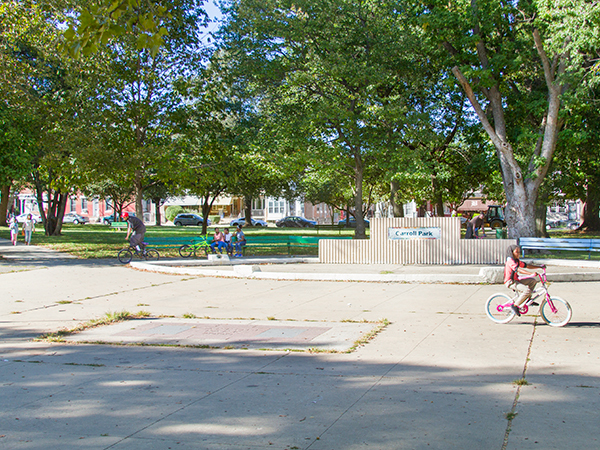 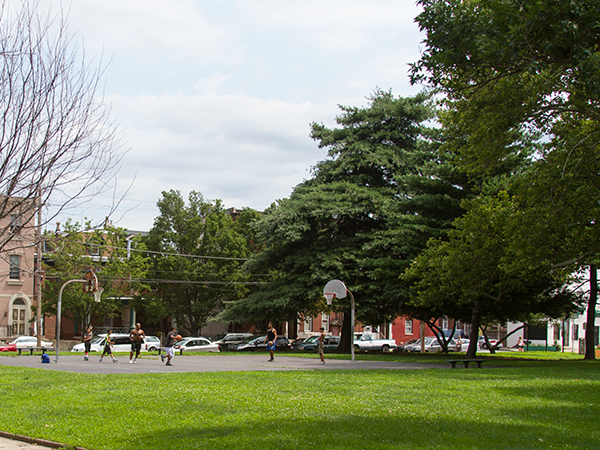 The Act stipulated that public open spaces and squares were to be acquired and developed for the “health and enjoyment of the people forever.” The earliest of these squares—namely Fairhill, Norris, and Shackamaxon—were established in North Philadelphia, while Passyunk and Jefferson were created in South Philadelphia. 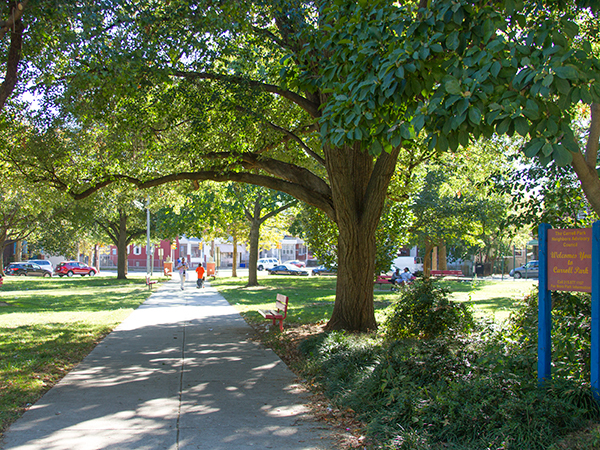 Norris and Jefferson were similar in plan to the design of Franklin Square, created by William Rush in 1825. 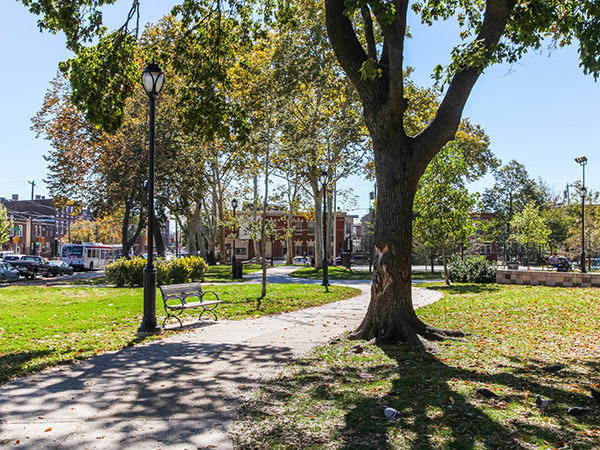 Passyunk’s original layout was a modified version of George Bridport’s plan for Washington Square, which dated to 1815. 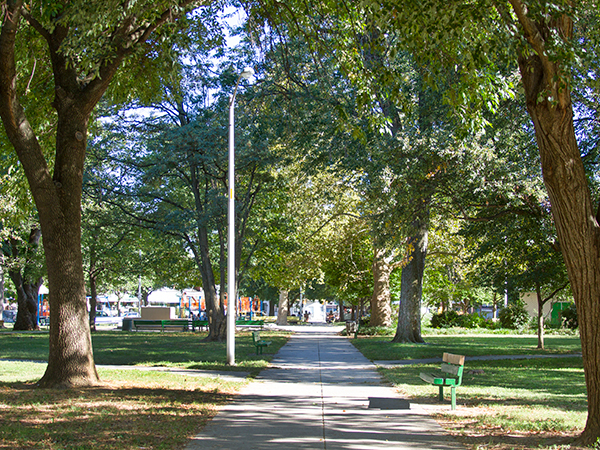 In the mid-1880s, these plans were simplified for maintenance: curvilinear gravel paths were replaced with radial walks of concrete or asphalt; elaborate planting beds were supplanted by simple combinations of lawn, shrubs, and trees; and flagpoles were installed in the centers of many of the squares. 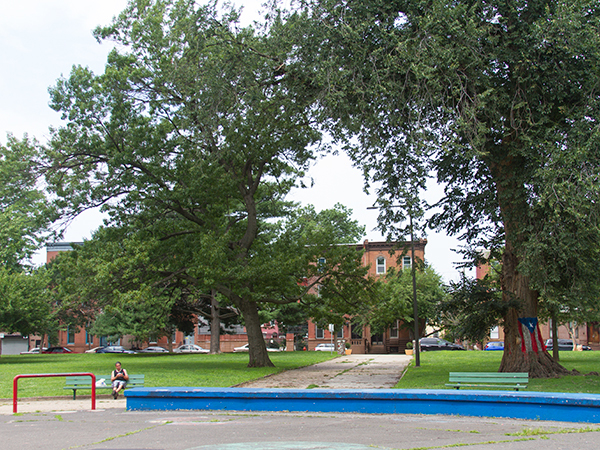 Other parcels developed throughout Philadelphia as part of this effort include Carroll Park and Cliveden, Dickinson, Fotterall, McPherson, Mifflin, and Wharton Squares. 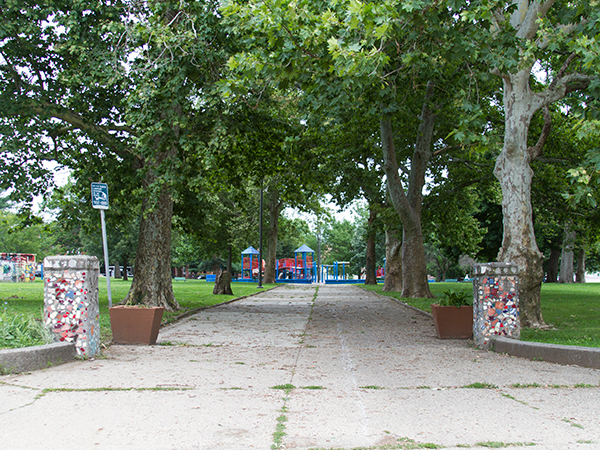 During the second half of the twentieth century, many of these parks were revitalized, benefitting from improvement grants awarded from the Land and Water Conservation Fund.